Owners of the final limited-edition Holden VF Commodore models were given a special treat this past week. 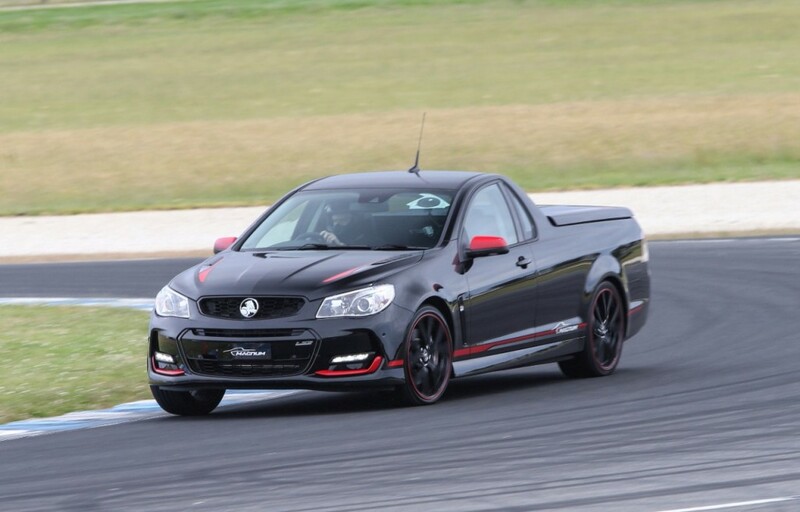 Holden granted access to its highly secretive Lang Lang proving ground for owners of the Holden Commodore Motorsports, Magnum and Director special edition models. Recall, the brand built the three special edition Commodores as a way to send out the locally built car with a bang. Motor reported 86 owners attended the special day at Lang Lang, which a Holden employee organized. 500 owners are part of an enthusiast club for the special edition cars, which includes the organizer. 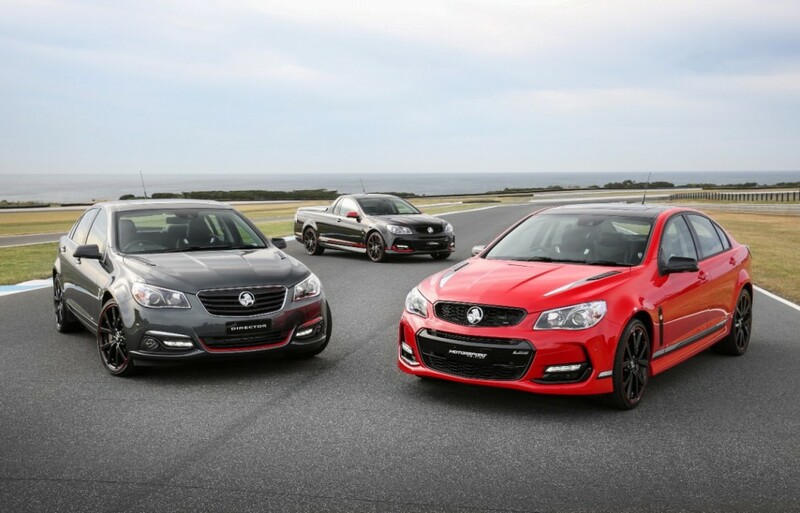 In total, Holden built 1,200 Commodore Motorsport editions, 240 Magnum utes and 360 Director sedans. As the report noted, it’s rare for Holden let the public into its proving ground. Work is ongoing for various General Motors projects, as the automaker tests other models in Australia—notably, Cadillacs. But, the organizer received the OK from Holden to hold the event. Holden also reportedly treated attendees to two left-hand drive Chevrolet SS prototypes and a fifth-generation Chevrolet Camaro. The previous Camaro has strong Australian ties to Holden as it was built on the Zeta platform shared with the VE and VF Commodore models. Extensive engineering for the fifth-generation Camaro also took place at Lang Lang. To mark the occasion, Holden permitted photography of each owner’s special edition Commodore on the skid pad, high-speed ring and the exit tunnel, which features a Holden lion logo. Lang Lang was saved as Holden transitioned from a manufacturer to local importer. Today, the facility handles work for numerous GM brands and was subject to multi-million dollar investments recently. There is no more Holden. Please stop calling it that. I agree with Martin that “there is no more Holden” but a GM (General Motors) still remains and its General Motors that has the long history in Australia. A history far longer than the single Holden brand. Holden as brand needs to join with the other retired GM brands La Salle, Oldsmobile, Pontiac, Saturn, Vauxhall, Opel and Bedford as brands that formed GMs past but are not its future. The GM of today and the future needs to be a worldwide truely international company that promotes not dozens of individual brand names but just three brands across all international worldwide markets. Those brands of course are Chevrolet for the mass market, GMC for trucks and 4 wheel drive vehicles and finally Cadillac for the premium market. Many (particularly Australians) will have trouble with this proposal but those Australians are simply not longer supporting the Holden brand and this lack of support continues grow. Typical Holden buyers of the past now buy Chinese, Japanese and European brands. Mercedes Benz now sells more cars in Australia than GM sells Holden! Yes, Holden as a brand must be retired and I think General Motors are becoming aware of this fact. There will always be a Holden. Up to 2017 the Australian made and developed Holden Commodore will always be there. This story is not about the future of the brand, it’s about enthusiasts who purchased limited edition versions of the last VF’s getting the privilege of a driving experience at the Lang Lang PG. It probably will never happen again, but having worked there, it is a special place and for those owners, it will be an experience they will never forget. The future of the brand is a separate issue that will no doubt be debated by all the armchair experts for as long as this page exists. Try telling all these guys their cars aren’t Holdens and see what response you get. Great story Sean!